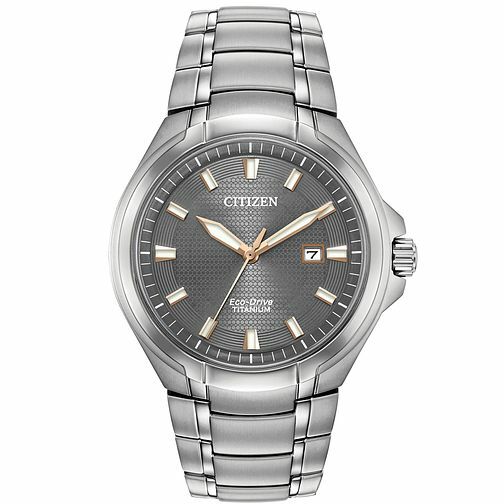 Make a statement with this bold Super Titanium™ Citizen timepiece with classic black dial. Features on this 3-hand model include luminous hour and minute hands and markers, along with a date indicator and sapphire crystal. Proudly boasting Citizen's award-winning Eco-Drive technology, which harnesses both natural and artificial light and converts it into energy to power the watch, a watch that never needs a battery.